I like repetition. Repetition is just so darn orderly. Seemingly in control. So I snapped this because I liked the light fixtures above the booths. Yeah, that's probably not too apparent - I did the best I could given my short stature. 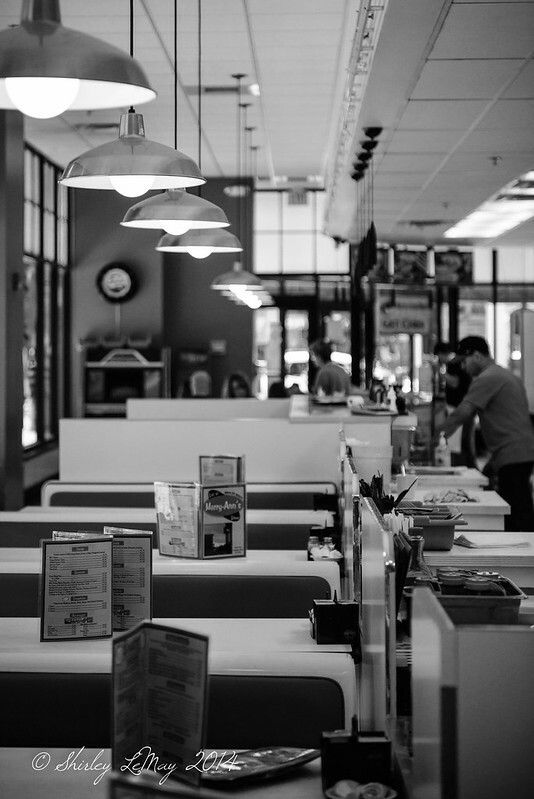 Photo taken at a local downtown diner. Every college town requires a 24 hour diner - where else can you get chili cheese fries at 2am after the bars close? This has a real old-timey feel in B&W. You make me want to try some. I definitely like those light too and like how you captured them. They are the focus but there is so much additional character within.